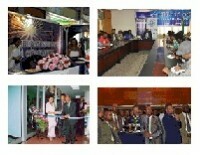 Ethiopian Insurance Corporation provides different types of basic life insurance policies. The basic policies can be taken out any time according to the interest of the customer. In addition to basic life insurance policies, the Corporation prepared various types of riders which can be taken out with the basic life insurance policies. In order to have the benefits given by the life insurance riders the customer must have the basic life insurance. Supplementary Pre-need Funeral Expenses Rider. This article is prepared to elaborate about these life insurance rider policies. ©2018 Ethiopian Insurance Corporation All Right Reserved.